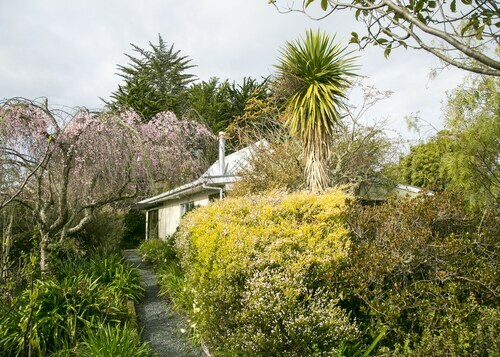 Situated in a rural location, this lodge is 2 mi (3.2 km) from Kahurangi Estate and within 12 mi (20 km) of Mapua Wharf and Hoglund Art Glass. Kaiteriteri Beach and Abel Tasman Coast Track are also within 25 mi (40 km). Situated in Mapua, this spa apartment building is 2.5 mi (4.1 km) from Kahurangi Estate and within 9 mi (15 km) of Mapua Wharf and Hoglund Art Glass. Greenacres Golf Course and Fossil Ridge Winery are also within 12 mi (20 km). 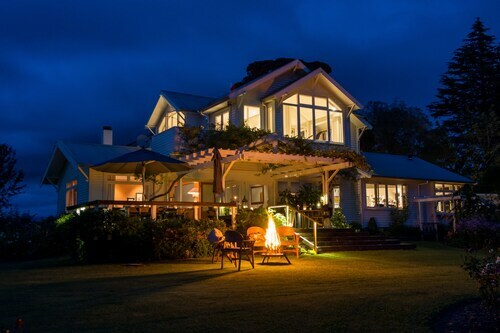 Situated in Upper Moutere, this lodge is 3.1 mi (4.9 km) from Kahurangi Estate and within 9 mi (15 km) of Mapua Wharf and Hoglund Art Glass. Greenacres Golf Course and Fossil Ridge Winery are also within 12 mi (20 km). Set in Mapua, this family-friendly vacation home is within 9 mi (15 km) of Mapua Wharf, Hoglund Art Glass, and Kahurangi Estate. Richmond Mall and Greenacres Golf Course are also within 12 mi (20 km). 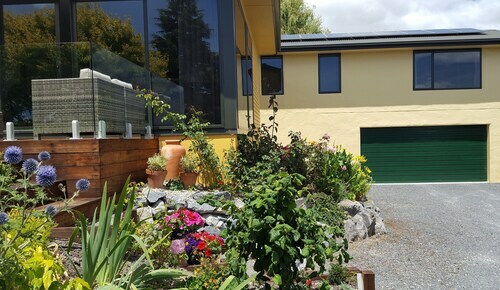 Situated near the airport, this bed & breakfast is within 9 mi (15 km) of Hoglund Art Glass, Mapua Wharf, and Greenacres Golf Course. Kahurangi Estate and Fossil Ridge Winery are also within 9 mi (15 km). 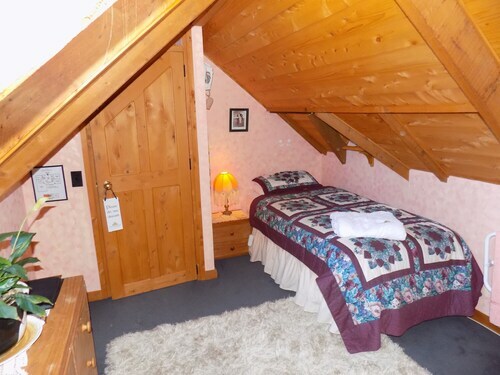 Situated in a rural location, this romantic guesthouse is 6 mi (9.6 km) from Kahurangi Estate and 10.6 mi (17 km) from Mapua Wharf. Kaiteriteri Beach and Abel Tasman Coast Track are also within 32 mi (52 km). Situated in a rural location, this hotel is 7.4 mi (11.8 km) from Kahurangi Estate and 9.2 mi (14.9 km) from Hoglund Art Glass. 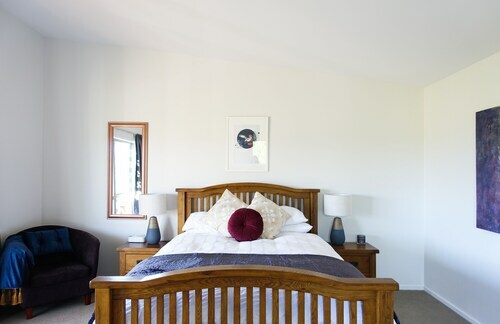 Situated in Bronte, this luxury guesthouse is within 9 mi (15 km) of Mapua Wharf, Hoglund Art Glass, and Greenacres Golf Course. Kahurangi Estate and Fossil Ridge Winery are also within 9 mi (15 km). Located in the heart of Bronte, this property is within 9 mi (15 km) of Mapua Wharf, Hoglund Art Glass, and Greenacres Golf Course. Kahurangi Estate and Fossil Ridge Winery are also within 9 mi (15 km). 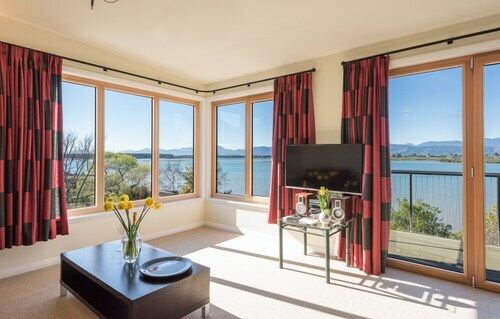 Situated near the bay, this luxury lodge is within 9 mi (15 km) of Mapua Wharf, Hoglund Art Glass, and Greenacres Golf Course. Kahurangi Estate and Fossil Ridge Winery are also within 12 mi (20 km). Situated in Mapua, this golf cottage is 1.8 mi (2.9 km) from Mapua Wharf and within 9 mi (15 km) of Kahurangi Estate and Hoglund Art Glass. Greenacres Golf Course and Fossil Ridge Winery are also within 12 mi (20 km). 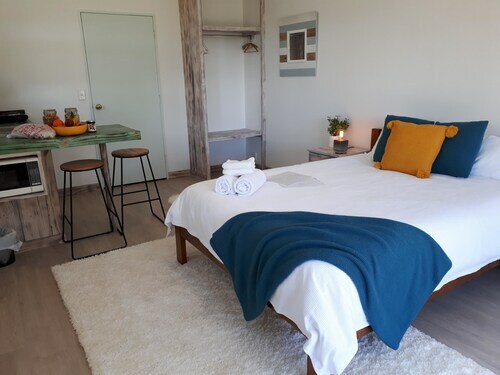 Situated near the beach, this bed & breakfast is 0.7 mi (1.1 km) from Mapua Wharf and within 20 mi (32 km) of Isel Park and Tahunanui Beach Reserve. Nelson Market and Riuwaka Resurgence are also within 25 mi (40 km). Even adults deserve to let loose once in awhile. 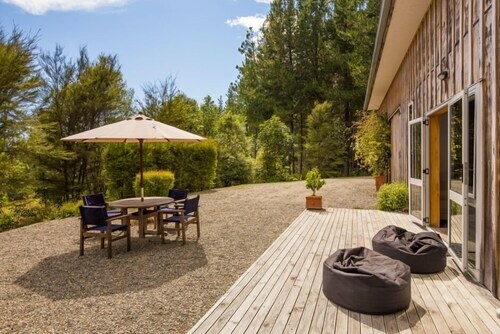 Make your way to Kahurangi Estate for some well-deserved downtime. It's located in Nelson, about 90 miles (145 kilometers) from the nation's capital city, Wellington. Make your journey to Kahurangi Estate as relaxed as possible by staying just a short drive away. You'll discover 7 hotels within 6 miles (10 kilometers). 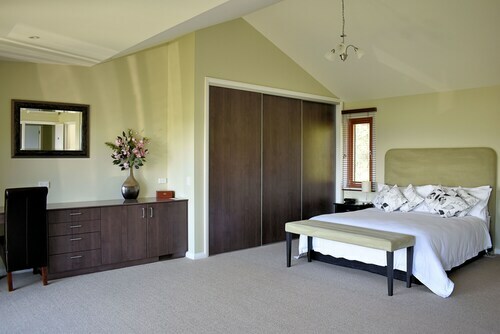 Spend some time comparing the amenities at the Atholwood Luxury Country Accommodation and Pine Hill Lodge. Have you grown weary of paying too much just to sleep somewhere? Then go straight to the Mahana Villa, a popularly priced solution that's 2 miles (3 kilometers) away. Some travelers think that the best things in life should be free. That is up for debate, as the premier hotels in this area will certainly make for some lasting memories. You may want to consider the Bronte Country Estate and Redvale Ridge B&B. Your group will like a spicy and sweet journey through the regional flavors featured at Mahana Estates. Neudorf is a great stop for everyone from wine collectors to casual drinkers. Could there be anything better than an enlightening cultural trip intermingled with spirits? Make some time to visit Seifried Estate Winery and you will certainly figure it out. Try and find the fairways at Tasman Golf Club, a nice place to unwind and play a round or two. Whether you're an experienced golfer or an amateur, don't miss the chance to play a round or two at Greenacres Golf Course. How Much is a Hotel Room in Kahurangi Estate? Hotels in Kahurangi Estate start at $87 per night. Prices and availability subject to change. Additional terms may apply.